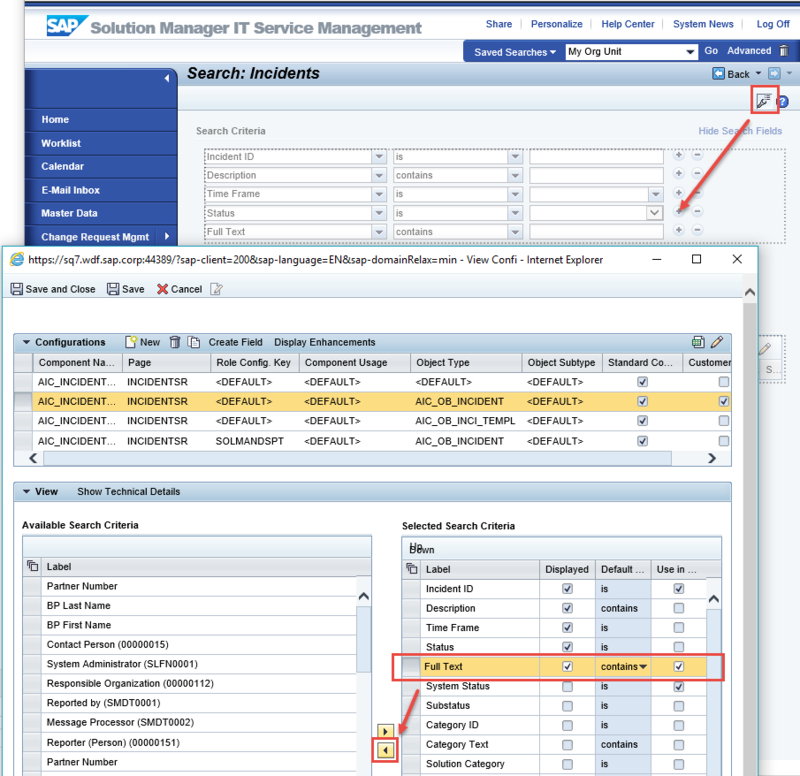 SAP Solution Manager 7.2 makes extensive use of the SAP NetWeaver Enterprise Search (ESH, also known as Embedded Search). The Enterprise Search allows you to perform cross-scenario free text searches through unstructured long texts, office documents, and other object attributes. A highlight, if you are using the Solution Manager on a HANA database, is that you do not require an external TREX server in order to use the Enterprise Search. In this article, I will briefly describe how you can use the Enterprise Search in the IT Service Management (ITSM) and Change Control Management (ChaRM) scenarios. I will also differentiate between the legacy TREX search and the new Enterprise Search infrastructures, showing you how to replace use of the legacy TREX search with the Enterprise Search. If you do this, and are on HANA, you won’t need to set up an external TREX server. 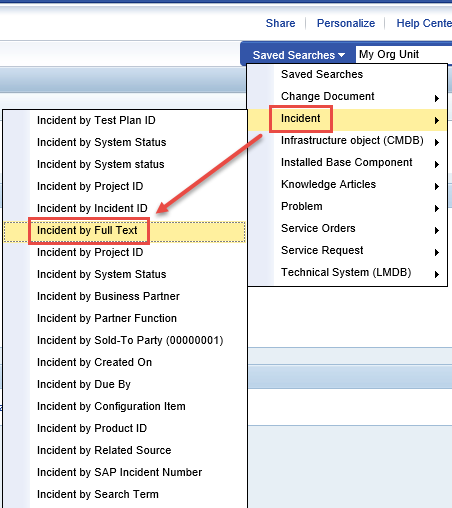 I will assume that you have gone through SAP Solution Manager Setup and appropriately configured the Enterprise Search. If you are running on a HANA DB, you’ll have had the option to setup ESH without an external TREX server. If you are running on any other DB, you can still use the ESH but will need to attach a TREX server to your Solution Manager system. In my explanations below, it will make no difference if you have set up ESH with or without an external TREX server: for end users the result is exactly the same. 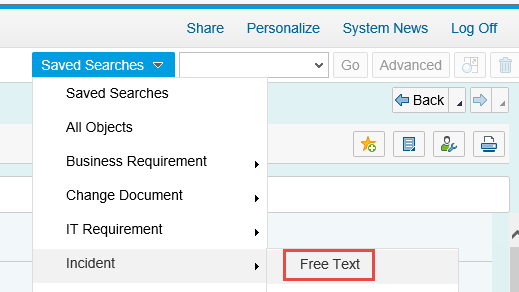 You will now probably find that you have redundant “Free Text” and “Full Text” full text search options in your CRM UI. You will note that there is no longer an option to perform a full/free text search combined with other search criteria in the search pages. This is because we believe you can do such searches more quickly and intuitively with the Enterprise Search fields “Search for All Objects” or “Free Text”, or in the Fiori Launchpad – the Enterprise Search indexes attributes such as creation dates, priorities, and status values and lets you search for these attributes along with full text simultaneously from the single search field, just as is common with most Internet search engines. “very high” HANA – The system will return all priority “very high” incidents which mention the term HANA. “very high” HANA “IRT Exceeded” – The system will return all priority “very high” incidents which mention the term HANA, and which have exceeded the initial response time (IRT). Before these notes were available, you could still use Knowledge Articles without a TREX installation, but not all features, such as the full text search, were available.